One does not have to be a believer to embark on a spiritual journey. It is rather a journey to yourself and about leaving the beaten path. With every step forward, a part of everyday worry is left behind. The journey is the destination in the truest sense! Each simple hike can, in this sense, be a spiritual hike. Of course, there are plenty of offers around the world that can be booked as a spiritual journey and plenty of hiking trails that are called spiritual paths. SalzburgerLand has a variety of enchanting journeys and holidays to recharge the soul. One of the most common type of spiritual journey is a pilgrimage. This kind of trip has been a central part of many cultures for a long time. St James’s Way has made this type of holiday better known around the world as it is one of the most famous pilgrimage trails today. In SalzburgerLand, people have traditionally also gone on a pilgrimage, to old traditional places of pilgrimage and on a part of St James’s Way as well. It has become quite a trend to go on a pilgrimage. Nowadays, it gives people a chance to escape the stress of modern, hectic times and a way to find oneself, restore inner balance and experience pure peace. 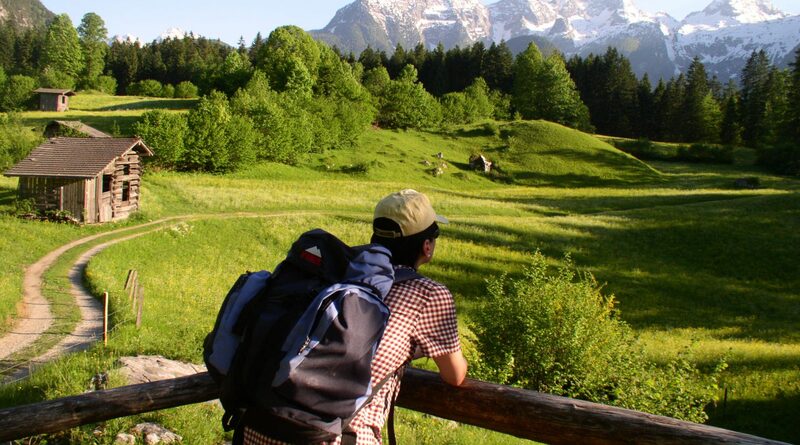 Overall 9 pilgrimage routes such as the Arnoweg trail, the Path of St Rupert or St James’s Way lead hikers through amazingly beautiful natural landscapes in SalzburgerLand. The Arnoweg trail is a Salzburg native, so to speak, as it was named after the first archbishop of Salzburg. Highlights of the hike include the Maria Kirchental pilgrimage church near Lofer, the Krimml Waterfalls and Zittelhaus hut on the 3,106 m high Sonnblick mountain. Tip: Around the Easter season, pre-Easter pilgrimages take place at specific dates every year. The exact dates can be found here. Tip: A very special pilgrimage via the Grossglockner High Alpine Road. 300 years ago, the first such pilgrimage was made, and every year on June 28, pilgrims leave from Ferleiten and traverse more than 35 km and over 1,300 metres of altitude to reach Heiligenblut in Carinthia. 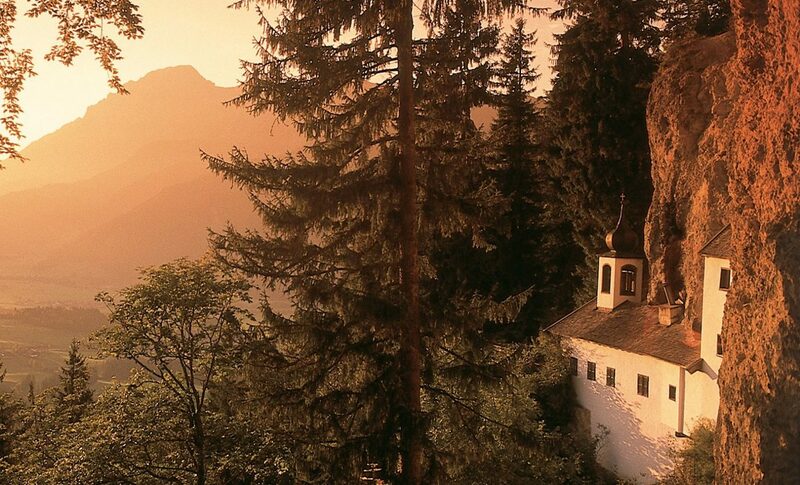 Some theme trails in SalzburgerLand are based on spirituality, religion and faith. They all take you through awe-inspiring landscapes and to wonderful places. On Grossarler Kapellenweg trail, you walk over 17.5 km starting from the parish church in Grossarl and then from chapel to chapel into Grossarl valley. The finishing point, or depending on which direction you go also starting point of the trail, is the Pertillkapelle chapel in the valley. The special thing about it: at each chapel, one of the Ten Commandments was converted to a pious wish for hikers. As the name implies, the Neukirchner 9-Kapellen-Weg (‘9 chapel trail’) leads to nine very different churches and chapels. From Marienkirche church in Neukirchen and the castle chapel below Neukirchen castle to Hubertuskapelle chapel of the local hunters – the expression of faith can be so diverse. The tour is walkable year round and pubs and inns with traditional Pinzgau region specialities ensure culinary refreshments to delight hungry pilgrims. A wonderful way to escape the stresses of everyday life is a walk along the Weg der Stille (Path of Silence) in Saalfelden. After a good 30 minutes’ walk, you directly reach the hermitage that is attached to the rock face and still inhabited in the summer months.